When it was announced in January that Netflix has expanded its reach and is now available in the Philippines, I was so excited to sign up. But we were having Internet connectivity issues at home so I decided to wait until we had more reliable connection before I signed up for the free 30-day trial. I decided that today was that day. Sign up is quick and easy. In less than 5 minutes, I was streaming my first movie: Aloha, starring Bradley Cooper, Emma Stone, and Rachel McAdams. There was no hassle whatsoever. Perhaps it helps that it’s Sunday at noon and other people have better things to do than hog the Internet. The husband is also fast asleep, having come home from shift last night. If he was right next to me playing online, that might be a different story. Already, I like Netflix. It may be a good reason to give up our premium cable subscription, but we’ll see. We had decided a few weeks ago to upgrade to Sky Broadband’s hi-speed offering but they are taking their sweetest time to get here and set us up. So earlier today the husband went online and signed up for an upgrade for our PLDT DSL connection. We are still considering which option will allow us to save on both Internet and cable, but I guess in the end, the fastest to get us setup would win. I just hope whichever comes first, doesn’t disappoint. I attended the Life Bliss Weekend a month ago and I had a milestone – I came home with a different realization than what I thought I set off to have. Let’s just say that thinking about what I thought my life’s mission was (prior to the weekend) meant staying in my current job for another year or two, and then setting off on an entirely different course. What happened was that I went home with a renewed sense of what I should be doing in the role I currently have. How my mission can and should remain the same over time, albeit set in different roles in life. I have tried many times to write about that weekend, but where do I begin? What’s important is that I have taken steps to work on my takeaways from that experience, and it looks like I’m well on my way to finding bliss. How does that relate to this blog? Everything is connected. My desire to define my mission in life, the need to rekindle a passion for my work, and the non-activity on the blogs, are all connected. And things that are happening now couldn’t have come at a better time. I’ve had an opportunity at work to attend a training/workshop that gave me further affirmation that I’m where I am supposed to be. For my blogs, I’ve been working on material that I signed up for two years ago. I’ve been stuck on having a mission and unable to move forward. But working offline on myself, I think, is allowing me to move forward here too. So I’m working on that. I guess what I’m trying to say is that I am in an ongoing reboot process. Personal Reboot, Work Reboot, and even a Blogging Reboot, because really, how can you separate the three? When was the last time you did a reboot? Have you heard about it? 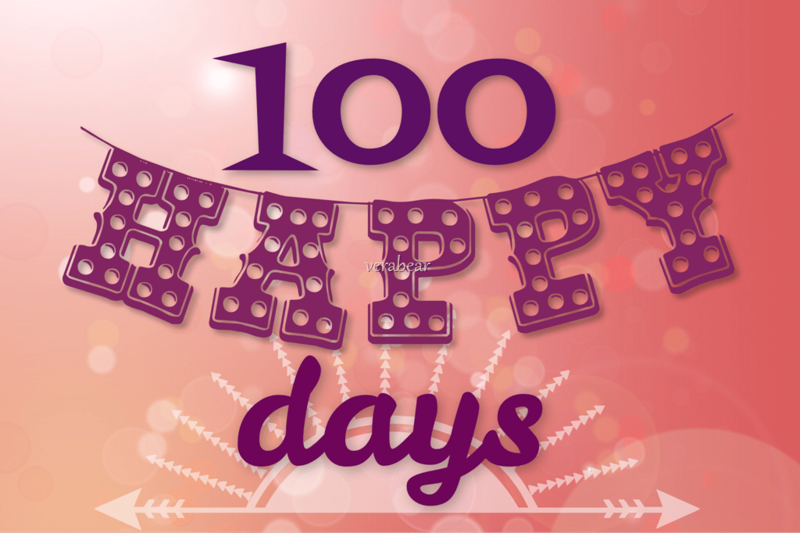 I’m on Day 6 of my personal 100 happy days’ challenge. What is it all about? So I took up the challenge and began on February 11th. I think it’s important to note that for some people, happiness doesn’t come naturally. Which is why we must intend to be happy. It is my intention to be happy for a hundred days. That’s more than enough days to make happy a habit. I’ve always said that I already am a generally happy person. It takes a lot to get me down. But it may also mean that being so leaves me highly prone to taking for granted those that make me happy. Hence the challenge to document and share the 100 little or big things that make me happy. I feel so proud of this young lady, though I don’t know her and I never even heard of her cause until seeing this video early morning on Sunday. She sends a powerful message though – that we have it in all of us to effect change. When we make a stand–specially on a potentially controversial issue-it’s inevitable that not everyone will agree with us, but so what? Take a stand anyway. So what did she campaign about? She had a younger brother who was really interested in cooking and so the family thought it would be great to give him an Easy Bake Oven. Now we don’t have those locally, so not everyone may know what it is, but I believe it’s a toy that allows kids to actually bake something. I would have loved one as a kid! 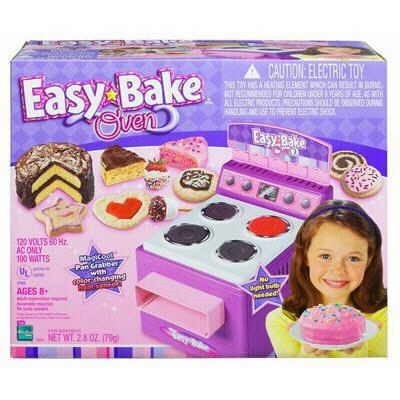 The problem was that McKenna’s brother was hesitant about getting an Easy Bake because it was “for girls.” All the marketing for the toy was aimed at girls.The colors were pink and purple, and the commercials always had girls. It was as if they were perpetuating the stereotype that the place for girls and women is at home and in the kitchen. So she started a petition to ask Hasbro, the makers of this toy, to use gender-neutral colors for producing and marketing the Easy Bake.